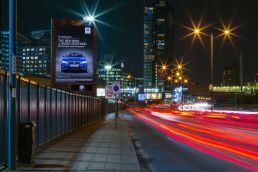 Powered by DOOH.com’s RUSH platform, this bespoke campaign brought to life the car’s array of smart features through contextually driven ads, with content reacting in real-time to localised factors including weather conditions, pollution levels, visibility, local petrol prices and even sports results. 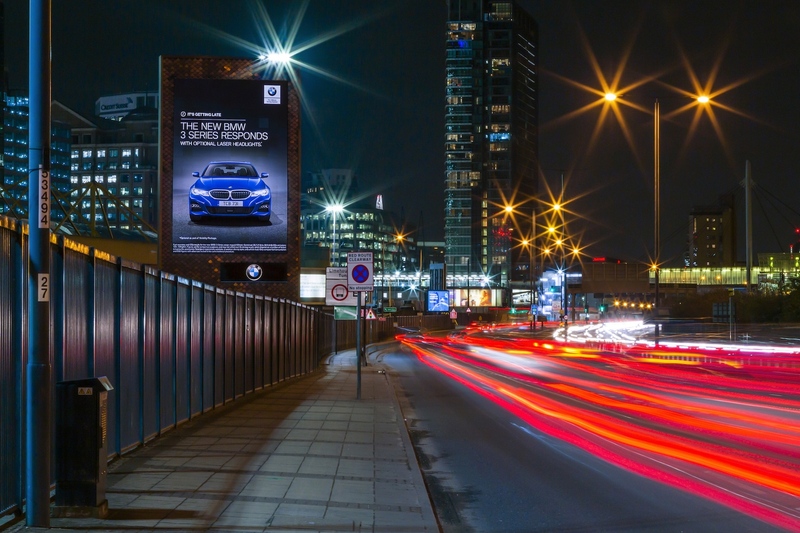 If rain was forecast, BMW shared their responsive traction control, if it was due to snow, they’d showcase their optional heated steering wheel. 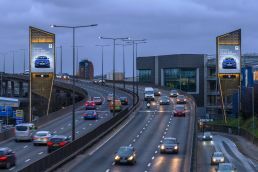 Depending on the time of day, the ads demonstrated how the car can direct drivers to the nearest restaurant, or traffic updates at rush hour. In addition, the amount of copy displayed in each ad changed in direct accordance to the speed of traffic past each screen, in real-time, ensuring that audience dwell time was perfectly optimised.